I now release the drama of my past. I consciously create my future. You wish for unity and fusion, consolation and satisfaction of all your emotional needs. This is a time of cleansing and reorientation, a time of contacting your intuitive wisdom, where you find all the answers. Immerse yourself in that inner knowledge, for you will find there, whatever it is you need. Posted on June 23, 2011 by ladyoftheabyssPosted in Daily PostsTagged Business, Fusion, God, Intuition (knowledge), Nuclear, Organizations, Physics, Tao Te Ching. If you’ve been attracting the wrong sort of partner, move any games or broken items from the far right corner of your home. A recent fling may fizzle, but someone who was cool to your advances may just as easily heat up. Can you keep the pace? General Meaning: Endurance is fostered when inner constancy is coupled with external flexibility. Long-distance runners must adapt readily to changing conditions, while maintaining an inner determination and strength of purpose. Two trees growing near each other adapt to enhance each other’s survival. A strong image of durability is a stable marriage of intimate partners striking a dynamic balance between involvement in the outside world and nourishment in the home. True endurance is not based on rigidity, for endurance implies movement, not immobilization. Only by adapting to change can we stay in the race; but only by deepening our sense of purpose can we develop the fortitude to win it. Continuity is achieved through movement, not by keeping still. That which has ceased to grow is close to death. Stay active, but allow yourself time to stay in touch with your innermost thoughts and feelings. Posted on June 23, 2011 by ladyoftheabyssPosted in Daily PostsTagged Business, General officer, I Ching, Interpersonal relationship, Marriage, Old-growth forest, Pace (transit), Relationships. It’s a good day for taking care of any sort of business, as long as you remain flexible. Changes are on order for the day. Be careful to exercise sensitivity in romantic relationships; you may miss a tempting opportunity if you’re emotionally unaware. Posted on June 23, 2011 by ladyoftheabyssPosted in Daily PostsTagged Health, Mental Health, Mercury, Moon, Pisces (astrology), Planet, Self-Help, Sun. 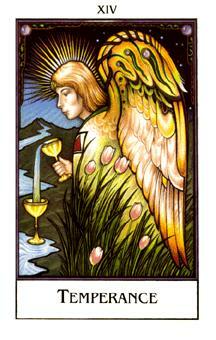 General Meaning: What is traditionally known as the Temperance card is a reference to the Soul. Classically female, she is mixing up a blend of subtle energies for the evolution of the personality. One key to interpreting this card can be found in its title, a play on the process of tempering metals in a forge. 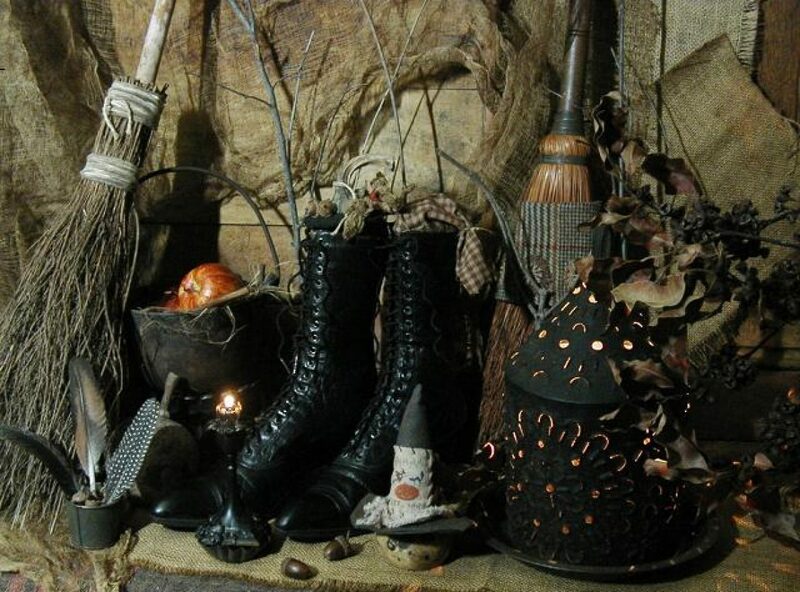 Posted on June 23, 2011 by ladyoftheabyssPosted in Daily PostsTagged Cartomancy, Crowley Louisiana, Divination, General officer, Metal, Religion and Spirituality, Tarot, Temperance. The Moon rushes into impulsive Aries at 4:23 am EDT, reflecting our need for action. But the Moon’s square to the emotionally protective Cancer Sun has us wondering whether to blindly run ahead or consciously retreat until we feel safer. Still, the Moon’s conjunction with wild Uranus provokes us to overcome our hesitancy and risk uncertainty, while her late afternoon square to unrelenting Pluto indicates our struggle to maintain our positions. Although you are able to charge forward into the unknown, it would be wise to consider your options before you find yourself in over your head. Your usual way of overcoming fear is to jump into a situation as you feel the adrenaline building. However, the Moon’s shift into your sign today allows you to be uncharacteristically sensitive, making you more aware of the potential problems ahead. You can quickly change your plans along the way, but a bit of forethought is still advised. You could be so energetic today that you think you must hide your enthusiasm or you might upset the delicate balance that’s holding everything together. However, denying your feelings will probably increase the intensity of what’s happening, rather than alleviating it. It’s true that a total lack of self-restraint may exacerbate a problem, but your response isn’t limited to all or nothing. Be smart; revealing your emotions gradually will prevent others from being overwhelmed. You Twins are quite capable of following two tracks at the same time. You want your friends to be open and honest as they tell you what they need from you today. But simultaneously, you are afraid that their words are hiding unexpressed feelings. You might even be tempted to act foolishly as you try to expose someone’s hidden agenda. However, there’s no reason to force anything now since the truth will become apparent without your panicky reaction. You want others to see your courage in action today, motivating you to bury your feelings and push beyond your usual limitations. Your satisfaction is dependent on your public appearance, leading you to hide your anxiety so effectively that others think that you are fearless. But there’s no need to trick anyone into believing that you’re a superhero. Just quietly do your very best, and the results will speak for themselves. You are excited about all the possibilities for growth and adventure, yet you are also aware that you will have to make sacrifices to accomplish your goals. Thankfully, you’re not concerned now about anything that could get in the way of your success. In fact, you might be so sure of yourself that you assume you’ll be able to overcome obstacles as they appear. Be wise and improve your chances by planning carefully and following through methodically. You face an uphill battle today as you try to figure out why your recent plan went wrong. You may be struggling to unravel the complex factors playing out in the present moment, but it’s apparent that you must make a mid-course correction or you won’t reach your destination. Nevertheless, it’s not wise to make changes too quickly. Overreacting may be even less helpful than doing nothing. Don’t look back to uncover your mistakes; instead, look ahead to prepare for where you are going. A relationship creates stress today as someone rebels against your plan. A close friend or partner might surprise you by expressing a position that is very different from yours. Although you may choose not to argue, just letting others do what they want isn’t in your best interest. It’s much smarter to directly confront small problems now so they won’t grow into major ones later. You aren’t satisfied by simply doing good work today; you want others to acknowledge your brilliance. Attacking an old project in a new and different way isn’t enough to hide your insecurity. But there’s no need to put so much effort into seeking recognition, especially if your desire for the spotlight allows you to forget that your initial purpose was to get the job done. Creating a detailed plan can be quite helpful, but too much analysis might get in the way of your productivity. You are overly self-expressive today with the enterprising Aries Moon now moving through your 5th House of Spontaneity. However, your exuberant feelings of creativity may be too much for those around you. Being less demonstrative is not a sensible solution, but it helps to allow time for others to show off their talents, too. Encouraging friends and co-workers to embark on an adventure with you may be much more rewarding than just doing it by yourself. You may be stepping onto unfamiliar ground today as you struggle to balance your desire to engage someone you love and your need to withdraw into your own world. Fortunately, you can play both extremes now. Keep your heart open while also being mindful of setting your boundaries and respecting the needs of others. It doesn’t matter if you’re feeling a bit uncomfortable, because it’s at these awkward spots that the real magic happens. You are an intense bundle of erratic thoughts today as familiar ideas combine to create ingenious plans. Luckily, you can showcase your talents without too much effort. However, there is a huge difference between an adequate job and an awesome one. Putting extra time into your preparation pays off now, so don’t take any unnecessary shortcuts. It’s scary to push forward so far that you must scramble your way back to safe ground. There’s no need to throw out your sensible plans just because you momentarily forgot about them and then moved too fast. Risk-taking isn’t necessary now; just slow down and stay on the current path. Don’t let the increasing pressure trick you into reacting impulsively. Posted on June 23, 2011 by ladyoftheabyssPosted in Daily PostsTagged Eastern Time Zone, EDT, Emotion, Moon, Pluto, Sun, Twins, Uranus. You will spend most of the day attempting to tie knots in a piece of cord, using only your toes. You will be unable to say why, but this will seem like a useful skill to you, at the time. People will tease you about wearing your golf shoes indoors. Don’t you mind them, though — they’re undoubtedly just jealous. A hive of naked mole rats will move in with you today. You will find that they are relatively tidy creatures, but that it’s a trifle difficult to explain their presence to your friends. A man with a single eyebrow is following you. You haven’t borrowed any money lately, I hope? You will join the ranks of the hipster cognoscienti. It’ll be fun at first, but later you’ll start secretly craving casseroles, and it will eventually become such an intolerable pressure that you’ll abandon your pale, pierced friends with the clever haircuts and move to Minnesota. You’re fussing with your hair too much. Perhaps you should temporarily cut back on shampoo. Or at least demand real poo. In a stroke of pure marketing genius, you will start a company to sell fresh-roasted peanut butter door-to-door. Your sales people may find the peanut costumes a bit uncomfortable, at first, however. You’ve been finding that the best-laid plans of mice and men often go astray. Or is that awry? Awiggly? It’s something along those lines. Anyway, the thing to do is to fire your mice. You will spend this week trying to get to the bottom of things. The good news is, you will succeed! The bad news is, the bottom of things is sometimes ugly, and often smells bad. Posted on June 23, 2011 by ladyoftheabyssPosted in Daily PostsTagged Aries, Capricorn, LIBRA, Minnesota, Scorpio, Swiss cheese, Taurus, Virgo.